We’ve all been in a meeting where someone (let’s say Peter) speaks and makes a relatively innocuous point. But then for the next 10 minutes everyone else who speaks starts with “I agree with Peter…”. You can’t help but notice the influence Peter has. Later on in the same meeting you are listening intently, and suddenly have a flash of inspiration – you can see a way forward for the group. You build up your confidence, and make your point. You were kind of hoping for applause, but would have taken even some acknowledgement. But instead, nothing. The conversation moves on, as if you hadn’t even spoken. A few minutes later, Peter makes an almost identical suggestion to the one you had just made, just phrased slightly differently. Suddenly, we are back into “I agree with Peter”, the meeting swarms behind him, and it is as if you hadn’t said anything. You sit, bewildered, wondering what is going on. Why is it, then, that some people have such influence in meetings when others do not? 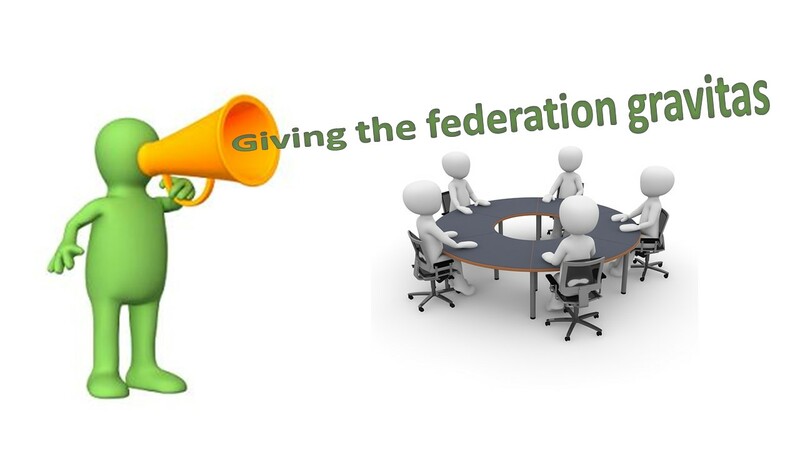 It is a really important point for those leading GP federations to consider, when thinking about how to ensure their voice has influence in system discussions. As a young manager my mentors would encourage me to have more “gravitas”. It was hard to understand what they meant. It is something of a slippery, elusive concept. The word gravitas, according to Wikipedia, is used to describe someone whose words and actions have importance and weight. You know when someone has it or when they don’t, but it is difficult to understand why, or how you get it for yourself. Part of it comes from positional authority. If Peter was the hospital CEO then some of his influence is a function of his position. In system discussions it is not because he is the boss, but because of the importance of what he represents (the hospital). For federation leaders, this brings us back to the question of mandate. The positional authority is much stronger if everyone in the room knows that you talk for 30 practices, and if you don’t agree with them they can’t go ahead with anything that involves those 30 practices. Another part comes from relationships. If Peter has a set of good relationships with those around the table, they are more likely to listen to him. If they don’t know who you are, sometimes it doesn’t matter how good your idea is it is just going to get ignored. But there is more to gravitas than positional authority and relationships. I remember as a federation leader there was one particular GP who wasn’t particularly well liked by other GPs (although he was respected), and who had no positional authority other than as a partner of a small practice. But when he spoke he always commanded the room. If he agreed with what we were suggesting as a federation (which he sometimes did) it really helped us to make the change happen with other practices. If he didn’t, he would articulate why and making the change from there was almost impossible. In the end we would run proposed changes by him to get his input before taking them forward. His gravitas came from a really strong sense of values about what was right for his patients. His points never felt like a political manoeuvre, but more like an articulation of what was right. He was always consistent. He was always prepared to agree, and he was always prepared to disagree. He was never afraid to speak his mind. And when he spoke, everybody listened. For federation leaders thinking about how to have a strong voice, this idea of gravitas is an important one, particularly when trying to shift the thinking from how to get a seat round the system table into how to make it a powerful one. Creating positional authority by developing a strong mandate from practices, building relationships with those around the table so they are receptive to what you say, and speaking consistently from a clear value base that determines whether you support or oppose proposals are all components of giving the federation voice gravitas.